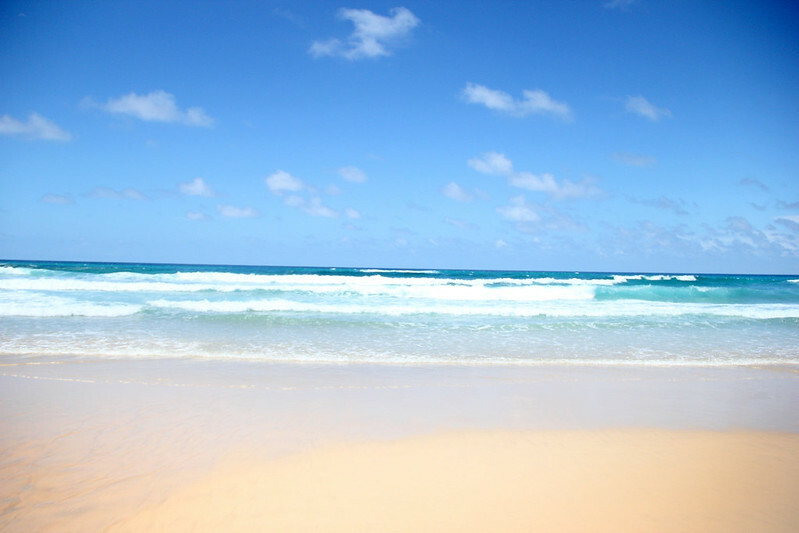 Our Life Down Unda: fraser island (part 1). Similar to last year, we packed up shortly after Christmas and headed to Fraser Island to meet up with a large group of friends for a (now annual) camping adventure. Only this year we were going with TWO babies. Six days. Two babies. One camper trailer. No running water or electricity. Yeaaaa... I was a wee bit nervous. But look at this place! It was going to be totally worth it! The trip started out on an unfortunate note when I began to feel a bit unwell on our drive up the coast. 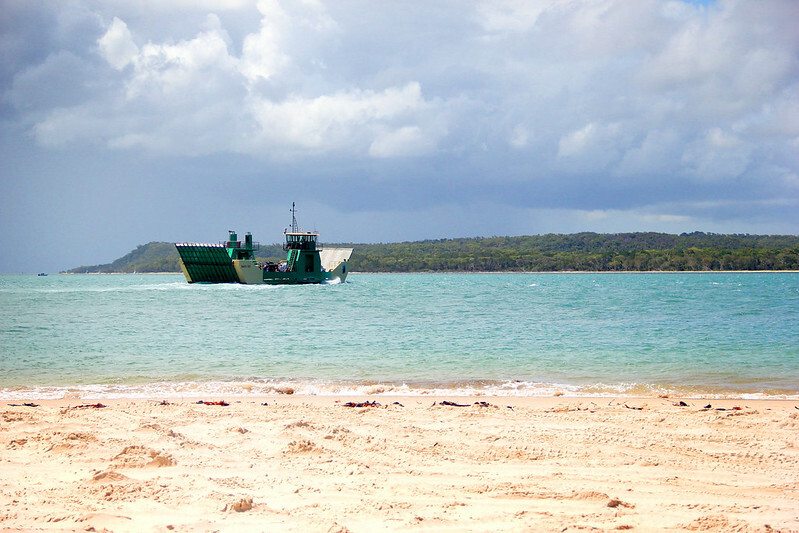 Fraser Island is the largest sand island in the world but is also pretty remote. There are a few resorts and houses over there, but no real "roads" or typical amenities. It is a four wheel driving only island and we camp on the beach which means we have to be completely self sufficient (ie. not the kind of place where you would want to have any kind of emergency situation). To make a really, really long story short, I ended up getting very sick and was taken off the island via ambulance, ferry and then another ambulance before arriving in the emergency room. Max and Lachlan weren't allowed to come with me but because Spencer was 100% breastfed and I had brought no backup feeding options (at all), he was taken to the hospital with me. Ugh... it was not pretty and NOT the way I wanted to start our holiday! Turns out they think I had a very severe migraine. I never knew a migraine could make you so incredibly sick but I was also happy it wasn't something more serious. After it was all over, other than being very dehydrated and hungry from all of the vomiting (and having a really bad headache), I was completely fine. 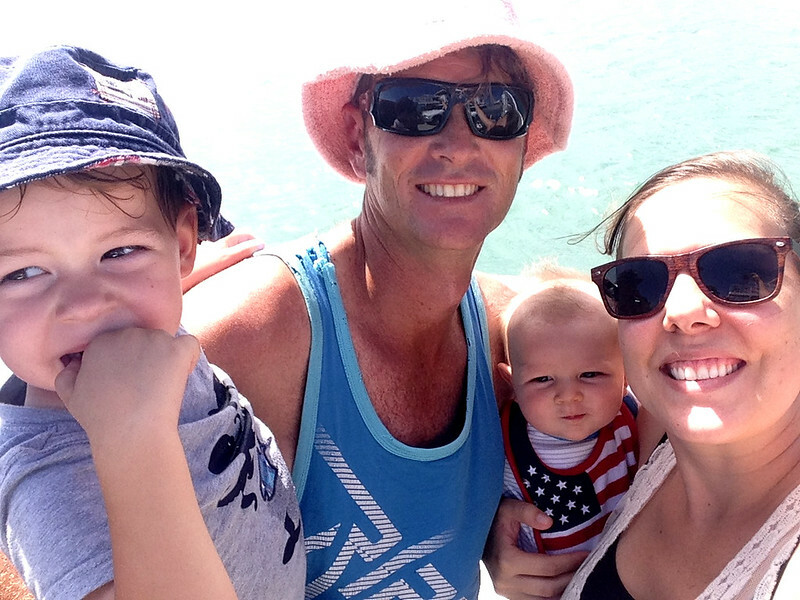 One taxi ride to the ferry terminal and one ferry ride back over to the island, we were back on our holiday, ready to enjoy Fraser Island for all it was worth! 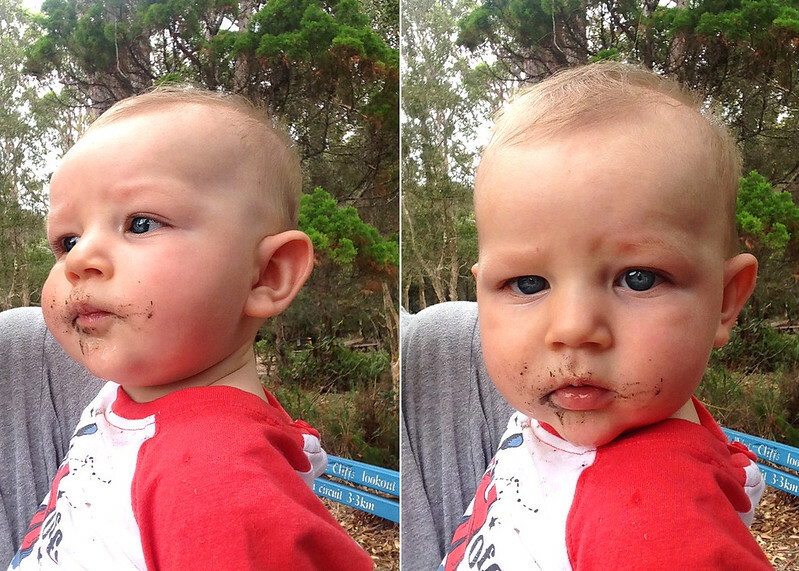 Spencer celebrated being out of the hospital with a mouth full of dirt. You know - to really get into the camping spirit! What a team player, that baby of mine!